A real eco-friendly hotel on the Amalfi Coast! For some years now, we have chosen to protect the environment with some small actions and services that we want to introduce you to today! Crazy idea: a hotel for your honeymoon in the Amalfi Coast! A fantastic honeymoon in the Amalfi Coast! Live your love dream with us, at the Hotel Margherita in Praiano! That’s why our restaurant on the Amalfi Coast is called M’ama! Once upon a time, we asked ourselves how to name our sea view restaurant, in Praiano on the Amalfi Coast. 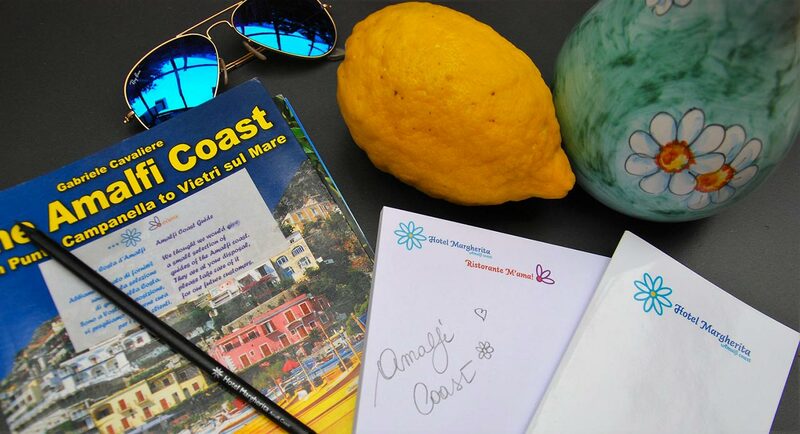 It’s time for a wellness holiday on the Amalfi Coast! Among the activities that you can do while staying in our hotel on the Amalfi Coast, there is one completely dedicated to your total regeneration, a time reserved for yourself, private and essential, in our opinion. Breakfast time at Hotel Margherita! The Amalfi Coast. An experience that remains in the mind and heart, made of sensations that you will love to remember and places you will not want to leave. Read our blog to discover all the secrets and wonders of your stay. Special offers and travel packages for the Amalfi Coast! FROM OUR HOTEL, CAPRI’S BOAT TOUR! Special offer ‘Sentiero degli Dei 2019’: a divine experience!